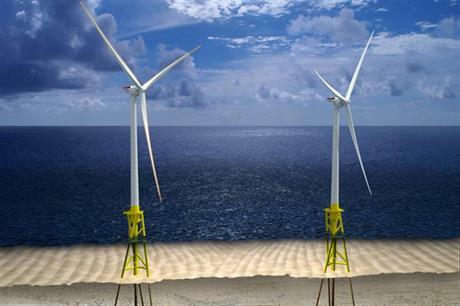 UNITED STATES: Dominion Virginia Power has shelved its 12MW offshore VOWTAP demonstration project, as well as longer term plans to develop as much as 2GW off the Virginia coast. The utility is still "exploring all options when it comes to offshore wind," said a company spokesman. Dominion had been awarded a $4 million advanced technology offshore demonstration grant by the US Department of Energy (DOE) in December 2012 and another $47 million of DOE funding in May 2014 to support the 12MW Virginia Offshore Wind Technology Advancement Project (VOWTAP). But then in May 2016, VOWTAP was dropped from the DOE programme after failing to meet funding milestones. "That has put the project on an indefinite hold and state of uncertainty," the spokesman added. Bids to build VOWTAP had been unexpectedly high. VOWTAP was to be a distant 41 kilometres off Virginia in 25-metre deep waters. It was to be a hurricane-resilient design, with US-designed twisted-jacket foundations and GE Haliade 6MW turbines. Dominion had also been awarded a lease by the Bureau of Offshore Energy Management (BOEM) in September 2013 for a site in federal waters off Virginia with the potential for 2GW of wind turbines. That project has also been put on hold.